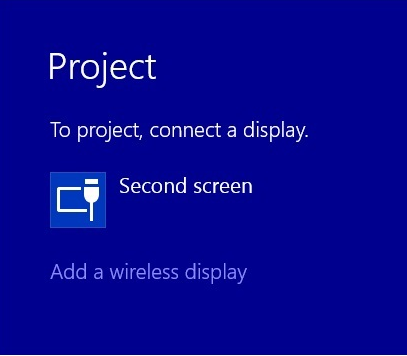 Please connect On Lap touch monitor to your computer first, if not, the calibration can be begun.In Windows 10, search"calibration" at "setting". 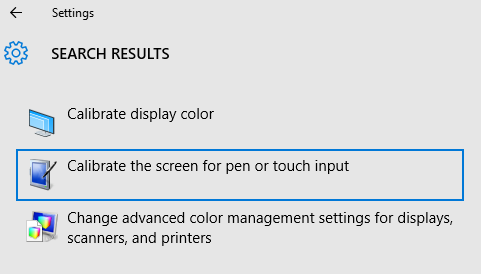 Select "Calibrate the screen for pen or touch input". 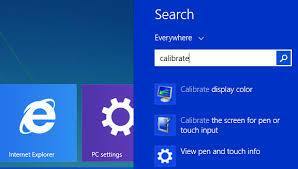 In Windows 8.1/7, select " Tablet PC Setting" of Control Panel to calibrate touch input. As Fig., please select "Setting", when Windows message appears on the screen of On Lap touch monitor, follow the direction to touch the screen and the setting is complete. In Windows10, press the windows Start logo at the left button-->choose"Setting"-->select" System"-->select" Display". 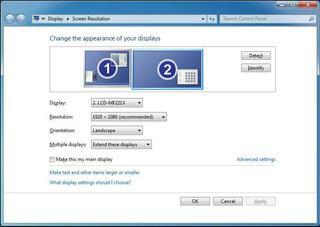 Then choose "Extend these displays" at Multiple displays. Click the start icon of Windows-->click on "Control Panel"-->"Appearance and Personalization" Normally it show 1 as laptop's monitor 2 as external monitor. Select 2 for further setting. If you are not sure, click DETECT. 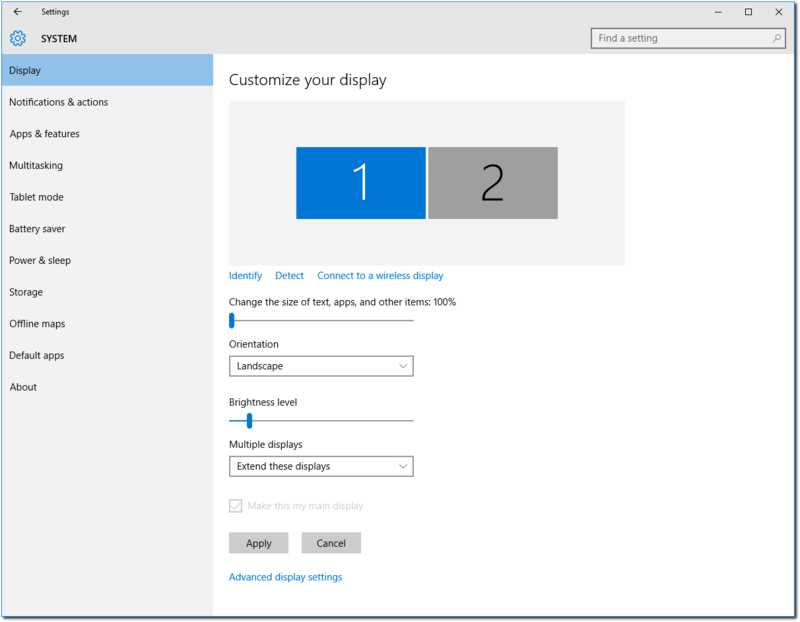 Select resolution based on the suggestion of On Lap menu-->Select" Landscape" for orientation (PS: Portrait is set while using vertical display) Select"Extend these displays"for Multiple display. ●How can I set up the multiple monitors? 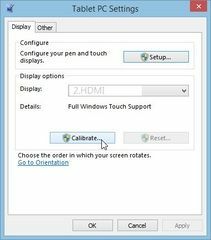 Windows or Mac OS support multiple displays setup.For example,please do the settings in "Control Panel\All Control Panel" of Windows 8.1/7. More detailed information is available in our monitor manual,too. ●Why my notebook didn't support extended mode/ vertical display? It seems that the graphic card of your computer doesn't support the extended mode or vertical display. Please contact your computer supplier for updated driver software. ●Can On-Lap display as portrait mode? The vertical display is supported by Computer instead of monitor. If your computer or device support the display orientation options,the user can make On-lap display either horizontally or vertically. ●Can my smart phone display whole image vertically on On-lap? No.The smart phone doesn't support the display orientation options.Therefore,On-Lap will display horizontally. ●My On-Lap1503/1303/1101 has 1080P,why it only displays 1366x768 or 1600x900 now? Is the main-display of your notebook 1366x768 or 1600x900? When "Duplicated mode" is selected,the computer will choose the lower resolution. Since the main display of notebook has lower resolution,computer displays the lower one instead of 1080P. ●Can I input 1280x1024 to On Lap1101? ●Did my O.S. support touch monitor? Check warranty and service information. Help yourself to useful product information. and drivers for your device.